Last summer I gave you some recommendations for things to read, watch, or listen to on the theme of “games for learning”. You can find last year’s list here. But wait, there’s more! If you want to keep feeding your brain with game-related content this summer, here are some of my top picks. It was very hard trying to narrow down my shortlist, so I’ve clustered my recommendations into chunky themes for your reading, listening, and viewing pleasure. I’ve been simultaneously reading two books about the history of board games. The beach read: It’s all a game! 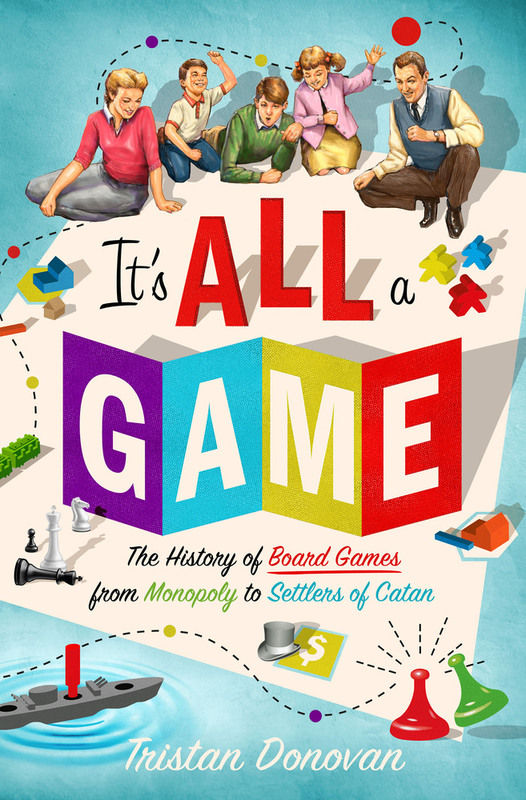 The history of board games from Monopoly to Settlers of Catan by Tristan Donovan (2017). This is an easy read but packed full of interesting stories that will give you a newfound respect for the humble board game. The Landlord’s Game - the secret history of Monopoly revealed on 99 Percent Invisible podcast. The easy reads: For some good general resources on gamification, I recommend Karl Kapp’s book The Gamification of Learning and Instruction or Matthew Farber’s book Gamify your classroom. The deep dives: Have you ever heard of Alternate Reality Games? If you have no idea, watch this short video or ask Wikipedia. Hours later when you emerge from that Internet rabbithole, you might want to tackle this academic article that looks at how ARGs could be used to explicitly support students’ 21st century literacies Bonsignore, E., Hansen, D., Kraus, K., & Ruppel, M. (2013). Alternate Reality Games as Platforms for Practicing 21st Century Literacies. International Journal of Learning and Media - fulltext here. NZCER 2017 Games for Learning Conference playlist, featuring talks by Bron Stuckey, Amy Fredeen, Harko Brown, Yasmin Kafai, James Everett, Dan Milward, Maru Nihoniho, and more! Two books that are on my “to read” list! On the local front, I’m excitedly waiting for my copy of Te Mara Hupara to arrive. The latest book from Harko Brown describes 30 ancient Māori artefacts for play, learning and exercise. Harko's co-author is his teenage daughter Yves, who assesses the hupara from the perspective of a 21st century learner. On the international front, I’m also waiting in anticipation for Matthew Farber’s latest book Game-based learning in action which looks at how expert educators are using games in their classrooms to give students agency, while also teaching twenty-first century skills, like empathy, systems thinking, and design thinking. What game-related stuff are you reading, listening to, or watching this summer? If you've got a recommendation to add, leave a comment below to let us know what it is!